Tracks to the Trenches 2016 & 2018 announced! 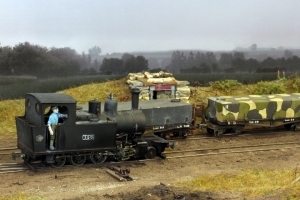 It is with great pleasure that the Moseley Railway Trust’s events team can announce that the highly acclaimed “Tracks to the Trenches” (TTTT) is set to be developed and repeated in 2016 (TTTT 2) and 2018* (TTTT 3). In line with recently announced schedules, these events are now being planned for May in their respective years. 2016 (TTTT 2) – a 3 day event from 13-15th May 2016. A very similar format to the 2014 event (TTTT 1); with photo-charters being arranged in advance of the event weekend, evening photo-shoots during the event, access all areas passes, an emphasis on Schools/Group visit packages, plus much more! 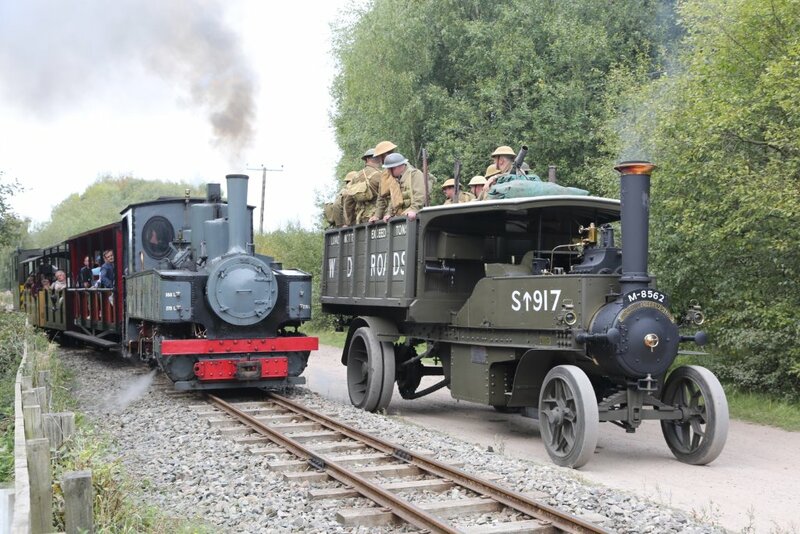 The 2017 event (13-14th May) is again planned to be a smaller event, specifically looking at Kerr Stuart locomotives and celebrating the Centenary of our flagship engine “Stanhope” – but it is still hoped to maintain a WW1 presence in the Trench area. 2018* (TTTT 3) – a 3 day World War 1 centenary event from 13-15th JULY 2018. Currently anticipated as really special year. Further details to be confirmed shortly, but hopefully developing on from TTTT1 and 2. Please keep the dates in your diaries! The organisers would like to invite any interested exhibitors or traders to contact us through this site (contact box above right, or comments box below) – we would be pleased to hear from you! Entry forms etc will start to be released shortly. 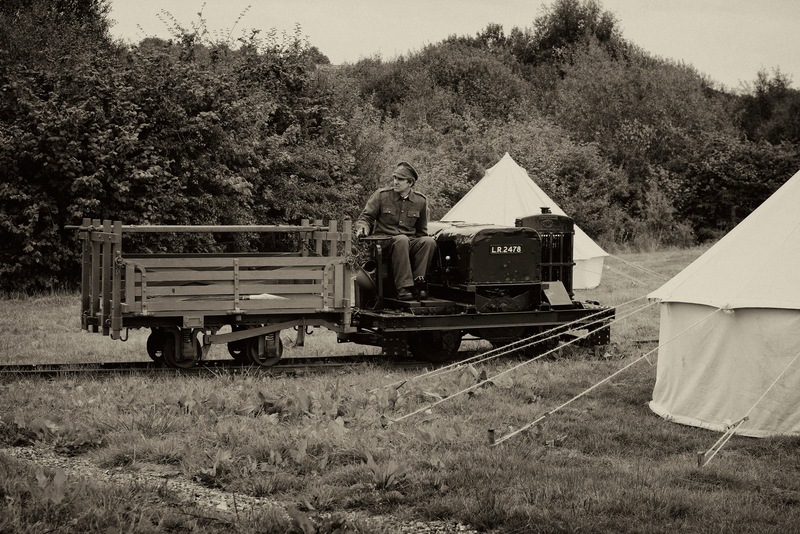 Over the last couple of weeks since “Tracks to the Trenches 2014”, we have seen and been passed many links to photos and video footage of the event in full swing. We do not claim any responsibility or copyright for these – but would lke to thank everyone for making them available as a record of what was achieved in 2014! On-line ticket purchasing is now live! STOP PRESS – Group booking deadline extended until 1st September. To assist local schools – the local school deadline has been extended into term time – 5th September! Booking details at bottom of page here. We are pleased to announce that the key event attractions are now listed on this website – please see the “Event Attractions” tab. 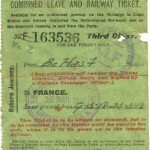 A subject of much anticipation; the Tracks to the Trenches team are pleased to announce that the on-line ticket purchase system is now “live” (as of 20:00 on 8th June 2014)! The on-line facility offers the public the opportunity to purchase Adult, Child, Family, Friday evening photo-shoot and the ever popular “Access All Areas” passes in advance and beat the queues. As an added incentive, all on-line orders are entitled to a FREE copy of the event guide. The closing date for on-line ordering is 1st September 2014. Please let us know if any issues are encountered with the on-line purchase system.